Horoscope Monthly Free & Psychic Readings Just .99 cents! Horoscope Monthly focus: Venus is once again retrograde. It will remain retrograde until the 31st of January. This retrograde is in the sign of Capricorn. Reviewing love and business commitments are important themes. It is an ideal time to reflect on the enjoyment derived from one’s ambitions. Business partnerships can be seriously tested. During this time frame corporations may review and revise their business partnerships and endorsement deals. Since Venus is the planet of love, reflecting and revising the loving principal is important. Affection is stagnant and inwardly expressed. This is not a time to start dating or get married. If you are paying for an expensive matchmaking or dating service, this would be an ideal time to freeze your membership. 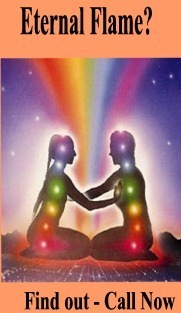 Retrogrades are an ideal time to review the value of a relationship. Sometimes it can refresh a relationship; yet other times it can bring it to a stalemate. It is never recommended to start a new job on a Venus retrograde. The job will not be liked in the same fashion after the retrograde is completed; the level of appreciation is unexpressed. A duty the job requires may not be liked. The same is applicable vice – versa. Authority may think they are making the correct decisions in hiring a candidate, yet they may feel uncomfortable or unstable in their likes afterwards. Small pleasantries on the workforce may be unexpressed and possibly too formal. Venus’ pleasure principal is not at its fullest. Social events are “busts” on a retrograde. Never plan a major party because either no one shows or the party is boring! Some may have noticed that Christmas and New Year’s celebrations may have been a bit dryer than usual this year. Well now you know why. Also, since Venus rules beauty, plastic surgery and beauty makeovers are not recommended. On a positive note, in the horoscope monthly analysis please remember the above is to improve better times to assert actions. Nothing is a catastrophe. Save your money and time. Do not make any major decisions or invest time in trying to tackle a major event that you can put off until the time is better. However, do use this period for analyzing your patterns in life. It is a great way to grow as a person. Growth does lead to better attainment! Now is the time to re-evaluate the value of your relationships and possessions noted in the horoscope monthly analsyis. For this reason antiques become popular during a retrograde Venus. I have seen a few charts of antique dealers that are born with a Venus retrograde. Though some would encourage purchasing antiques during a Venus retrograde, I question whether in the long run it would be worth it especially if it’s a high price tag. Review for sure.